It may be the middle of cricket season but that hasn’t stopped Samsung from releasing their latest promotion that is exclusive to Samsung owners. 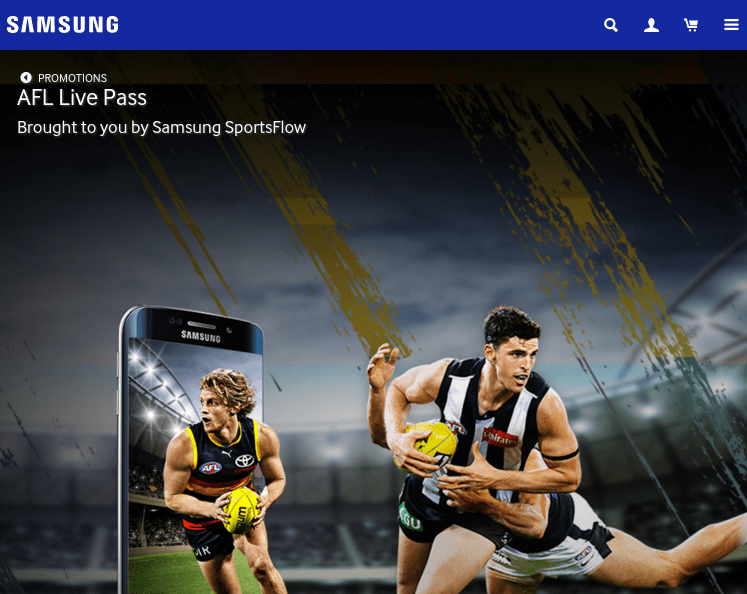 Samsung’s promotion is promoted through their sports news app, SportsFlow and gives the Samsung user two free months of access to the AFL Live Pass. To claim the two free months all you have to do is download the SportsFlow app from the Play Store to your Android 4.0 and above Samsung device, setup your preferences within the app and then enter your email address into the banner that will appear. Samsung will then email you the code for you to claim the two free months of AFL Live access. For more information hit the Samsung website where you can also find the terms and conditions of the offer. There doesn’t appear to be any timeframe to the offer so once you have your code it seems feasible that you do not have to claim the offer until the start of the AFL season. Using the AFL Live app will count towards your data cap, unless you are with Telstra so keep that in mind when using the app. Are you interested in these types of exclusive offers? Are you an AFL Live user?